From separate catastrophes two rural families flee to the city and find themselves sharing a great, breathing, shuddering joint called Cloudstreet, where they begin their lives again from scratch. For twenty years they roister and rankle, laugh and curse until the roof over their heads becomes a home for their hearts. Tim Winton’s funny, sprawling saga is an epic novel of love and acceptance. Winner of the Miles Franklin and NBC Awards in Australia, Cloudstreet is a celebration of people, places and rhythms which has fuelled imaginations world-wide. 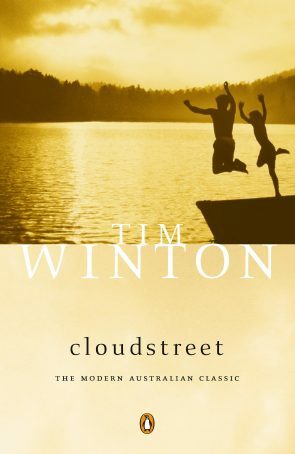 "Cloudstreet, like most of Tim Winton's best work, is a search novel. Its characters are unforgettable and original, which is why the book has become a classic of its kind and been made into a successful play. Its theme is universal but the author’s particular voice is entirely idiosyncratic, and the Western Australian setting gives a special resonance."